BANGKOK, June 2015 -The Prime Minister is confident on the US and international organisations’ approval of Thailand’s anti human trafficking measures, adding that international recognition of the nation’s efforts will take time. 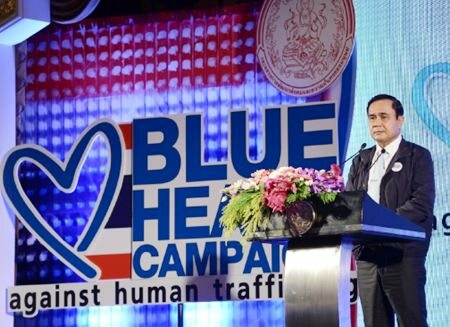 Prime Minister Gen Prayut Chan-o-cha has said regarding Thailand’s measures against human trafficking that Thailand has acknowledged the issue and is working to solve the problem. He has said that he does not expect the international community to fully understand the situation in a short period of time, while the ranking of Thailand regarding the human trafficking watch list will depend on the international community’s consideration. 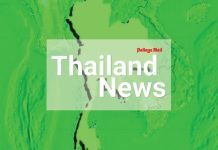 The Thai PM has said that cooperation from all sectors will allow the nation succeed, and he hopes that the international community will contemplate the government’s efforts in eradicating human trafficking. Some laws may have to be amended based on international standards to solve this issue as the human trafficking issue is related to the economy, trade, and investment. On the upgrade of fisheries standard to comply with the international levels, the Prime Minister has said that Thailand needs to commence the upgrade regardless of how much income each vessel owner has, and this matter has to proceed without affecting the economy.